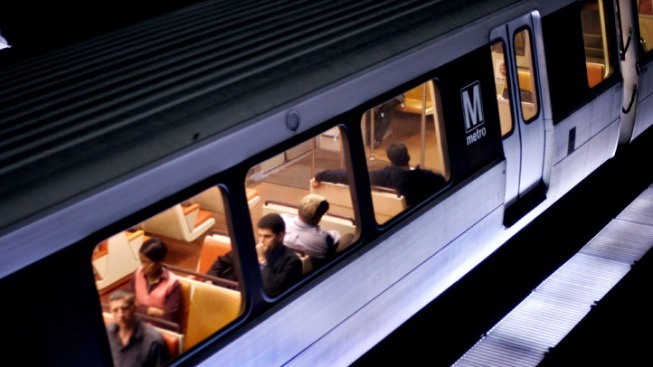 After the Independence Day celebrations on the National Mall, a lot of people took the Metro home, but only a select group of riders were privy to some in-car entertainment. Over the past couple days, videos have popped up on YouTube, following the adventures of the Metro Party Boys on the transit system. Along with the most recent impromptu dance party, they've been taped singing songs like "Hakuna Matata" and "Party in the U.S.A."
Judging from their expressions, the other riders on the train appeared to be enjoying the show. The YouTube user who posted the videos of the Metro Party Boys said a couple friends wanted to make the Metro ride fun for everybody.